Institutional conflict of interest are of concern when financial interests create the potential for inappropriate influence over research activities at the University of Virginia (UVA). This is particularly important when the research involves human subjects. Such influence might originate from individuals among UVA leadership who hold positions of trust, as well as within the university itself, its entities, and holdings. At UVA, financial interests of Covered Members and University units, as defined by this policy, will be annually disclosed and updated throughout the year. The financial interests of Covered Members and University units will be reviewed for institutional conflict of interest related to human subjects research and appropriately addressed. Reporting of financial interests by Covered Members and University units enables the identification, management, or mitigation of institutional financial conflict of interest in research that present a significant risk of an actual or perceived lack of objectivity in human subjects research. The goals of this policy are to set forth a definition of institutional conflict of interest (ICOI), establish an Institutional Conflict of Interest Committee, and identification of roles and responsibilities associated with ICOI. evaluation, promotion, and the assignment of job responsibilities in the supervision of faculty, trainees and staff engaged in research. Members of research review boards (IRBs, members of the UVA Conflict of Interest Committee, and other research ethics and compliance committee members, as appropriate. license or revenue from Institutional technology. Financial Interest does not include salary, reimbursement, or travel payment originating from UVA; or grants or contracts processed by the UVA Office of Sponsored Programs. Specific reporting thresholds are identified, and may be updated from time to time in the specific financial interests reporting systems used by Covered Members. Equity, ownership or financial interests held by the University where such interests have: a) a value in excess of $100,000 in publicly traded companies; or, b) a value of any amount in a non-publicly traded entity. All research meeting the definition of ‘research’ performed with ‘human subjects’ as defined in the Federal Common Rule (45CFR, Part 46 and 21CFR Part 56), regardless of the source of research funding or whether the research is otherwise subject to federal regulation. In the event that the Common rule definitions of ‘human subject’ or ‘research’ are modified through rule-making, any such revisions shall apply for the purposes of this policy. A situation in which the Financial Interests of the University or Financial Interests of Covered Members might affect or reasonably appear to affect Institutional Activities Affecting or Involving Research. The mission of the University of Virginia is to act in the service of the Commonwealth of Virginia, the nation, and the world through research, teaching, and patient care. Relationships with the commercial sector can support the University’s core mission and should be aligned with the University’s fundamental shared values of honor, integrity, trust, and respect. Relationships between the University, including its institutional officials, and commercial entities should not compromise the University’s core mission and values. Addressing institutional conflict of interest is especially important in the realm of human subjects research to protect human research participants and the integrity of the research. The Institutional Conflict of Interest Committee is a standing committee of the University, composed of faculty, administrative personnel, and ex-officio members, as needed, and convened, with an appointed Chair, under the authority of the Vice President for Research (VPR). ICOIC membership will include faculty, one or more from a clinical department. The ICOIC will review reports involving potential Institutional Conflict of Interest in research; determine whether an Institutional Conflict of Interest exists; and recommend to the VPR a plan for managing, reducing, or eliminating the conflict. ICOIC members will recuse themselves from review of cases in which they have a financial interest. Additionally, ICOIC members must adhere to signed confidentiality agreements. The ICOIC works in collaboration with the Research Conflict of Interest Committee and the University’s Human Resources Impact and Decision Support Group which implements the Virginia Statement of Economic Interests reporting process. Facilitation of compliance with this policy. Failure to comply with the requirements of this policy (as determined by the appropriate dean, director, supervisor, or conflict of interest committee) are considered misconduct on the part of a Covered Member and may be subject to disciplinary action up to and including termination in accordance with relevant University policies. A Covered Member discloses a potential or actual conflict of interest but fails to abide fully by the required plan for avoiding or managing the conflict. UVA supports an environment free from retaliation. Retaliation against any individual who brings forth a good faith concern, asks a clarifying question, or participates in an investigation is prohibited. Described below are the procedures for reporting, review, response, and monitoring of Institutional Conflict of Interest in Human Subjects Research. University members are responsible for complying with all applicable laws and University policies that address ethical conduct and other types of conflict of interest. In particular, University members with individual financial interest must be aware of and comply with the Virginia State and Local Government Conflict of Interests Act and policy, RES-005, Financial Conflicts of Interest for Research Investigators. Financial interest of covered members will be reported via the UVA Financial Interest Reporting System and/or via the Virginia Statement of Economic Interests reporting as coordinated by the UVA HR IMPACT and Decision Support Group. Both systems require reporting on an annual basis. Covered Members must report changes in financial interests within 30 days of their occurrence. Data from both systems are available to the Office of the Vice President for Research. Newly hired Covered Members must report financial interests within thirty days of employment. 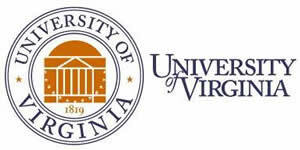 The UVA Licensing & Ventures Group will report (1) licensing of University-owned and licensed intellectual property to the Office of the Vice President for Research and (2) when the University acquires equity as a result of technology licensing or other economic development activities. The Office of University Advancement will report Gifts to the University to the Office of the Vice President for Research. The Office of the Vice President for Research will evaluate the reports submitted and report potential Institutional Conflict of Interest to the ICOIC for review. objectivity in business and contracting decisions for research purposes. No ICOI: Cases referred to the ICOIC may conclude with a finding of no actual, potential, or perceived ICOI. oversight by an individual or committee who do not hold financial or non-financial interests related to the project. Unmanageable ICOI: In cases determined to involve an unmanageable ICOI, the ICOI committee will require elimination of conflicting financial interests in order to initiate the proposed research activity. The ICOIC and the Institution should give precedence to activities that carry out Institutional missions over conflicting financial interests, to the extent that research integrity remains protected. For institutional conflict of interest deemed to be unmanageable, the ICOIC will communicate with affected individuals and/or University units. the Office of Sponsored Programs (OSP) which shall ensure that, if required, the sponsor is notified of the institutional conflict of interest and the conflict management plan. The ICOIC will appoint one or more will appoint one or more non-conflicted persons to monitor the approved management plan, on a pre-arranged basis. Those monitoring will hold a University position commensurate or senior to the conflicted Covered Member. Monitoring results and corrective action plans, if any, must be reported to the respective Dean (or higher) and the ICOIC. For conflicts arising from financial interests of University units, the senior administrator responsible for that unit will report to the ICOIC on adherence to the management plan on a pre-arranged basis. A request to appeal an ICOIC determination should be directed to the Vice President for Research (VPR) within 14 days of receiving notice of the ICOI determination. The VPR may convene an ad hoc committee to review the appeal and issue a recommendation to the VPR. The VPR will render a decision within 10 work days, and the decision of the VPR will be final. Public reporting of a managed ICOI will be congruent with the public reporting of researcher financial conflicts of interest. Revision History: Updated term "Gifts" 6/22/18.